I am perpetually on the hunt for the latest scientific insights into what we can do for better health and cognitive performance. (I’m making a documentary about the role of diet and lifestyle on brain health, and I often post my findings to my Facebook page.) 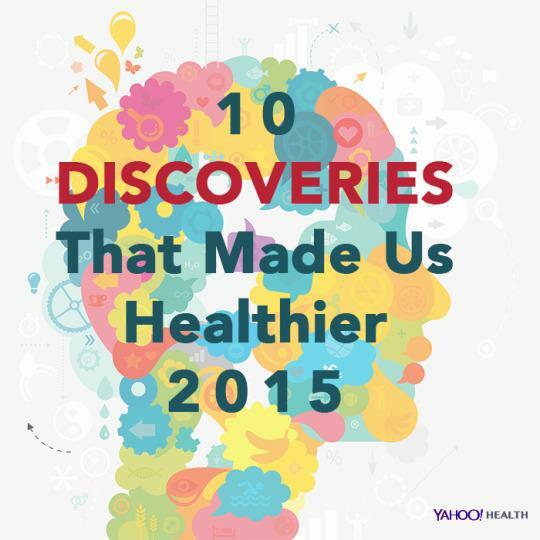 And 2015 proved to be a big year for us health-obsessed wonder junkies, with a number of incredible studies published that further elucidate how our choices affect our health — in ways both large and small. One area of major focus over the past year has been the microbiome — the universe of 100 trillion microorganisms that take up residence in our gastrointestinal tracts, modulating our health in profound ways. While we’ve known about the bacteria living in and on us for decades, it is only recently that we’ve begun to understand the scope of the role these little symbionts play in our health. This year bookshelves were lined with offerings shedding light on how we might better utilize this burgeoning field for optimal health. A few standouts: The Good Gut, Brain Maker, and Gut: The Inside Story of Our Body’s Most Underrated Organ. But studies about the microbiome were just the start. Below are more fascinating things learned about health over the past year, in no particular order, that you ought to pay attention to if you value things like feeling vibrant, boosting brainpower, and living longer! Unbelievably, in the same decade that humanity can take credit for having put a robot on the surface of Mars, we also located an anatomical feature hiding out in our own brains. And an important one at that. In a stunning discovery that overturned decades of textbook teaching, researchers determined that the brain is directly connected to the immune system by lymphatic vessels previously thought not to exist. The finding, validating the importance of reducing inflammation in the body, and therefore the brain, could have profound implications for the treatment and prevention of many neurological diseases including depression, Alzheimer’s, Parkinson’s, Lewy body dementia, multiple sclerosis, and autism. Thanks to this study published in Proceedings of the National Academy of Science back in January, we now know that using light-emitting e-readers (aka tablets and other backlit mobile devices) in the hours before bed acutely suppresses melatonin production in the brain. That’s a hormone that not only is responsible for helping regulate your circadian clock to help you fall asleep, but is also involved in the expression of many genes, some of which may keep cancer at bay. 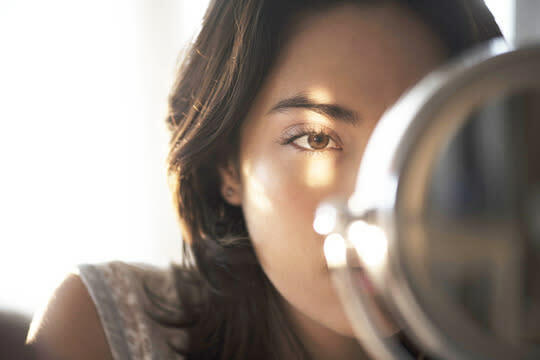 In fact, totally blind people have lower cancer rates than the fully sighted, and it’s thought that one key mechanism is that their melatonin levels are never suppressed. Participants given an e-reader to use before bed took longer to fall asleep, had worse sleep, and were less alert the next morning. This led study authors to conclude that the “electric light to which we are exposed between dusk and bedtime has profound biological effects.” Put it away, or try blue-light-blocking night glasses. Observational studies are great at finding interesting links between variables such as specific dietary patterns or components and health — a great starting place for further inquiry. This study, published in the British Medical Journal, found that people who ate spicy foods almost every day had a 14 percent lower risk of death during a seven-year follow-up compared with those who consumed them less than once a week. 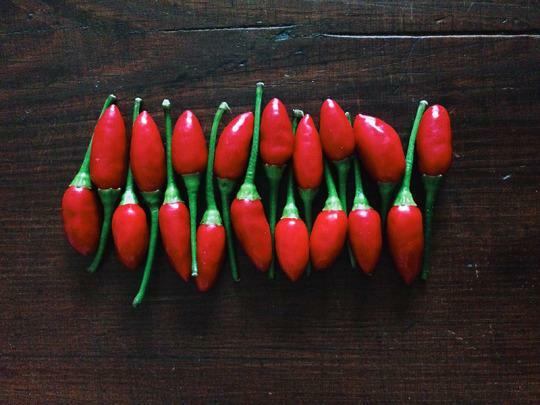 The active ingredient in chili pepper, capsaicin, has been shown to have a range of health-promoting effects, including antioxidant, anti-inflammatory, and anti-cancer effects. 5. Saturated fat isn’t bad for us. Sort of. In fact, over the past year the FDA determined that partially hydrogenated oils, the primary dietary source of artificial trans fat in processed foods, are not “generally recognized as safe.” (Shamefully, trans fat is still found on many supermarket shelves, though legally food manufacturers have another year and a half to remove it from their products.) So saturated fat may have been exonerated, but assuming we are interested in more than simply not dying, we must assess a given nutrient (micro or macro) on how our microbiota feel about it as well … and the jury on how our microbes (and their site of domicile, our GI tract) deal with saturated fat is still out. Additionally, increasing saturated fat intake in the context of a nutrient-poor, high-carbohydrate, high-sugar, low-fiber diet is still probably bad news — in fact, it’s saturated fat and sugar combined that is often used in nutrition studies to mimic the “obesogenic, diabetogenic” Standard American Diet. National dietary guidelines to limit fat intake were introduced in 1977 and 1983 by the U.S. and U.K. governments, respectively. Deaths from heart disease were at an all-time high and people were looking for a dietary villain. If you want to really dig into this topic, I highly recommend Nina Teicholz’s landmark book The Big Fat Surprise. 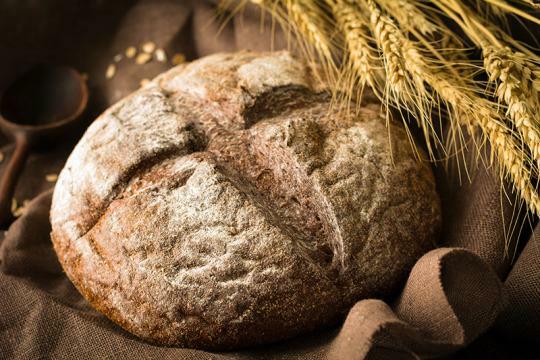 As health lore has it, avoiding all things buttery led to the widespread recommendation to eat more grains, which has since been associated with skyrocketing rates of obesity, Type 2 diabetes, and other chronic, noncommunicable diseases. A brand-new meta-analysis published this year looked at 17 randomized control trials (the gold standard of nutrition research) and found that low-carb diets were superior to low-fat diets for reducing cardiovascular risk and promoting weight loss in overweight adults. In fact, using the National Institute of Health’s own heart risk calculator, a low-carb diet was 98 percent more effective at reducing risk of a cardiovascular event (heart attack or stroke) versus a low-fat diet. The researchers found no advantage of following a low-fat diet. This year was a huge year for the brain. Thanks to the stunning work of Miia Kivipelto and colleagues at the Karolinska Institutet in Stockholm, we now know that for adults who adhere to a lifestyle protocol that includes dietary advice, social support, and physical exercise, even the most at-risk among us can delay their own cognitive decline, regardless of age. And, as announced just this month at a conference in Barcelona, those in the FINGER study with a common genetic risk factor for Alzheimer’s disease actually benefited more from these interventions. The bottom line: Genes are not destiny. Have you been to a high school reunion? Did you wonder why, despite all being of the same class, people seem to have aged at vastly different rates? Here’s why: You actually have two ages — your chronological age, determined by your birth year, and your biological age, determined by your lifestyle choices. Your biological age is the one you should really be concerned about — it’s the one you have control over. This year, scientists tracked markers for aging in healthy people in their 20s and 30s and found that some people do seem to age faster than others, and that this biological age (independent of —though correlated to — chronological age) is reflected in physical appearance. So, insofar as there is an association between physical appearance and biological age, those who look younger actually are younger, according to these biomarkers. And here’s the kicker — the biomarkers measured in the study are all modifiable, as this video I made about the study elaborates on. Following the Mediterranean diet seems to provide cardio- and neuro-protection, at least when looking at large populations and their health outcomes. No one really knows why it’s protective, and there seems to be a nebulous idea of what, exactly, it’s made up of. But we do know it’s a diet that is higher in wild fish consumption (which assumes an adequate intake of omega 3 fats), includes moderate consumption of red wine (a source, albeit a tiny one, of polyphenols such as resveratrol), and makes use of copious amounts of extra-virgin olive oil (rich in polyphenols and oleocanthal). The Mediterranean diet is also followed in tandem with a specific lifestyle, so it’s hard to suss out what is working and what isn’t. 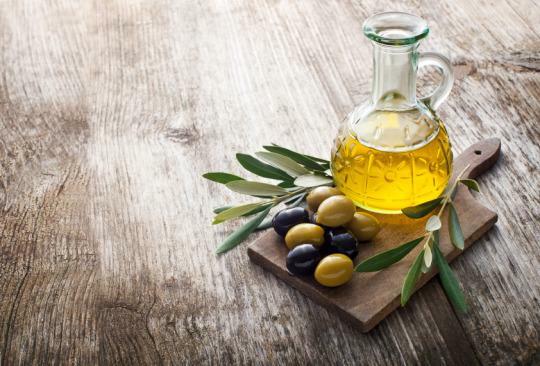 However, one study pitted a standard, still widely recommended low-fat diet against two versions of the Mediterranean diet — one supplemented with added fat from nuts, and one supplemented with added fat from extra-virgin olive oil. The group of older adults that adhered to the Mediterranean diet supplemented with added olive oil showed the greatest retention of cognitive function after six years. That’s it! Share this article to spread the word that our health really is in our hands, and to acknowledge what an amazing time we live in for nutrition science. Here’s to a happy and healthy 2016, full of exciting new insights that will bring us even closer to optimal health! Read This Next: Millennials Have the Power to Prevent Their Own Cognitive Decline. Here’s How.